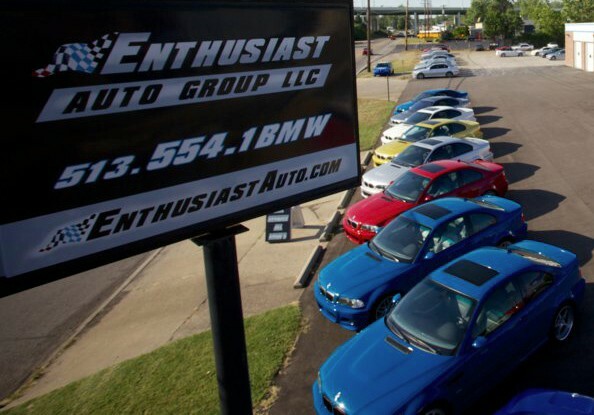 Enthusiast Auto Group is a highly specialized automotive service and sales facility specializing in late model BMW's located on the Northern side of Cincinnati, Ohio in Sharonville just off I-275. Our business is based solely around our passion for these vehicles, integrity, honesty and full disclosure. Our technicians, service advisors and parts advisors all have extensive dealership training with over 50 combined years of BMW dealer level training and experience. We are committed to providing our customers with not only an unbeatable level and quality of service, but to do so with value in mind and not a focus on selling unnecessary repairs. 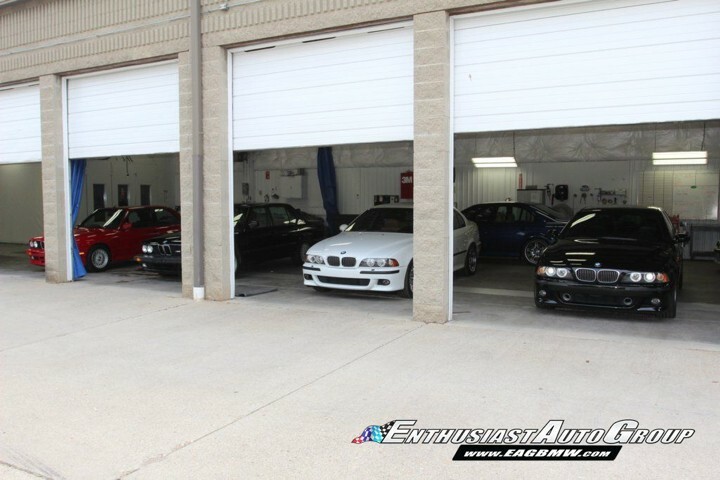 Enthusiast Auto was founded by brothers Eric and Evan Keller who turned their part time hobby of selling the best available examples of BMW M-cars into a full time career, including servicing and repair of all BMW models. I've been an Enthusiast Auto Group customer since I bought my 2006 M3 from them in 2013. I'd been driving past their location for years looking at all the immaculate M3s on the lot. One Saturday in April 2013 I stopped by to check it out, test drove two cars and was hooked. Shortly thereafter I owned my first M3. Since then I've had them do routine maintenance as well as installing upgraded suspension components and a short shift kit. All of the guys there are top notch. Evan and Eric on the sales side and Josh, Jared, Mike and Kent in service are all people that have personally helped me out. When you walk into the shop they ask how your are doing and call you by name. They are willing to answer any and as many questions as you have and within reason will even provide a hands-on demonstration for some DYI projects. They sell cars nationally and have a pristine reputation for no surprises when they deliver a car sight unseen to the customer. You'll read some online griping about EAG from time to time but those are not EAG customers. Those are people that Eric and Evan are outworking to find and purchase the best M cars across the United States. I feel very fortunate to live just a few miles from EAG. I highly recommend them for their integrity and capabilities and will use them for service as long as I'm in the area. I would also not hesitate to make a remote purchase if I lived outside the area. Thanks for taking the time and sharing your experiences with our shop. We have enjoyed helping you out with your DIY projects and track prep. Thanks again Brent! When my 525i needed new shocks and struts, I checked with the dealer and two independent shops in my area for prices. Enthusiast Auto Group made me feel comfortable from the first phone call; they were knowledgeable of my car, the work needed to be performed and time to do it, and were willing to allow me to supply the parts I wanted to use for the repair. Not only did they have the most competitive price for the work, but they followed up at every step with me and kept me informed. When they found other issues during their routine inspection, they discussed which ones were critical, and which were wait-and-see and gave me all the options I needed to make a good choice. I never felt any pressure, and I have certainly found a shop that I feel comfortable taking my car to for jobs I can't (or don't want to) do. Thanks for the kind words and opportunity to work on your VERY nice E39! I just relocated to the area when someone hit me at an intersection. I was 8 hours away from my go-to shop. My baby's life was over. A co-worker recommended I take my BMW to Enthusiast Auto Group "just for an estimate." I was preparing myself for an overpriced estimate and the laissez faire attitude typical of body shops, but fortunately, I couldn't have been further from the truth. The team at the body shop were SPECTACULAR! I walked in without an appointment and the shop manager came out immediately and inspected my car. They pointed out a couple of issues with the job that even I did not initially identify. They took the initiative to work with the insurance company and were vehement about ensuring my vehicle would be good as new...even when the insurance company pressured me to cut corners. They got my car back to me in record time and even took the time to buff out some blemishes in my paint that were nowhere near the work done. I was so pleased by this experience, I recently took my vehicle in for the 60k inspection. The service was top notch and all work was completed in 2 days! All staff were professional and exceptionally efficient. Unparalleled customer service. If you love your car, don't go anywhere else. The pleasure was all ours. Thank you for taking time out of your day to post your experiences! In about eight years, Eric and Evan have grown Enthusiast Auto (EAG) into a nationally-recognized brand. They've built their business by focusing, almost singularly, on BMWs especially "M"s. Here's what's unique: Eric and Evan choose 1) to buy very nice cars and 2) do substantial preventive maintenance (clutches, brakes, tires, electronics, etc.). Then, they offer turn-key ready BMWs to buyers who become advocates. If an owner wants to sell, they want the first opportunity to buy back the BMWs. It's a practice, as Eric calls it, of "revolving inventory". They know the car and it's history which makes more consistent re-offerings. It's taken a commitment but, the model's working exceptionally well. The lot is full of great BMWs. For Service, Josh, Jared, Mike and Kent are fantastic. They know BMWs as well as the dealers and believe in preventive (aka "old school") maintenance. They will explain, in great detail, why and in what order, maintenance should be done. They're quick at the counter, in the shop, on the phone and, ultimately, with turnaround. Worth mentioning is the honesty - a rarity in auto shops. These guys tell the straight story in both sales and service. And, labor is significantly less expensive than at dealerships. Why? These guys get the job done quickly and that makes for a lighter bill. This is a shop built by and for BMW enthusiasts. They've earned my business, repeatedly, over the past five years. And, I intend to be a customer for a long time. Its always a pleasure Rick. Thanks for taking the time to write the kind words! Jared and the team at Enthusiast Auto Group really take time to explain the service process for performance upgrades and routine maintenance, including transparency on price, cost savings, and optimization. They go out of their way to help you fully understand what you're interested in. Body shop is also excellent, and what you can expect for your BMW. Thanks Daniel! 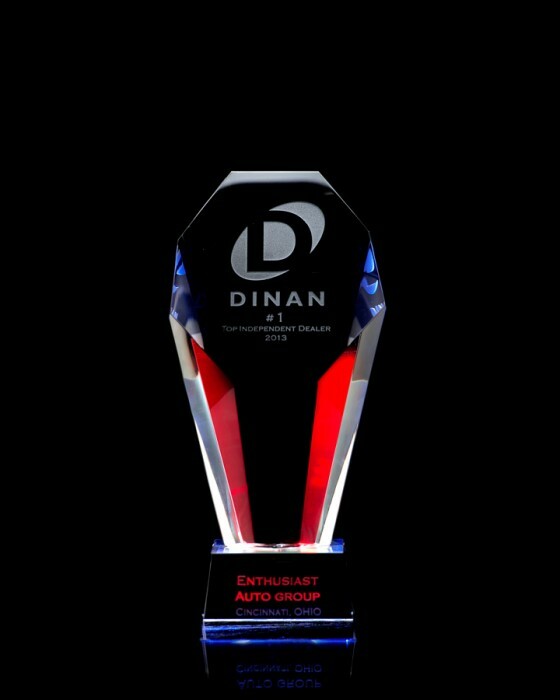 We are looking forward to adding some more Dinan parts on your M3! I have had my X5 serviced with Enthusiast Auto Group for years. When I originally started taking my car to EAG I worked with both Eric and Evan (Owners) to schedule maintenance and discuss work that needed done. They were excellent and straight forward in terms of cost and work, so I continued to come back. As the business grew (both selling BMWs/servicing them), so did the team. I have now worked with both Josh and Jared in Service and cannot say enough good things about them. Again, the communication is straight forward with regards to work and cost. So, I continue to come back. Net, net when it comes to BMWs these guys get it. When it came time to add to their services and build a bigger team, they get it. They are getting it right and continue to thrive. I have 0 hesitation in recommending EAG for buying or servicing BMWs. They know what they're doing and continue to get it right. Thanks for the kind words Dave. We greatly appreciate your business! I have relied on Jared and the other fine folks at Enthusiast Auto Group on several occasions. Their service is second to none in my opinion. I am a customer for life with these guys! Its always a pleasure to work on your vehicle and are happy to have earned your business. Thanks again! Enthusiast Auto Group in Cincinnati is like going to a dealer for service, but for less than half the price with a better customer experience. 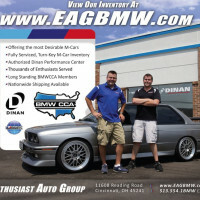 I have taken previous BMWs I've owned to other places and received good customer service, but EAG is on another level. From scheduling, to going through the inspection with full disclosure, to getting the car back after the service, I am fully informed about the process and refreshingly transparent. Then there is the way they go above and beyond; Several different beverages, loaner vehicles, willingness to show you damaged parts and followups with full information if there is a change from the estimate they give you. What took them over the top and made me a service customer for life was when I had suspension damage that was covered under a city's insurance. They provided me a loaner for over 2 months without any worry and took care of my car while I had to work out the insurance disputes with the city. Bottom line, if you're in the southwest Ohio area, and you need service for your BMW, this is the place with the best value and customer experience. Thanks for taking time out of your busy schedule to write about your experiences at EAG. Hope to pass you soon! I have nothing but praise for the Enthusiast Auto Group family. I have purchased six (6) vehicles from them over the last 8 years. Each of these vehicles has been exclusively maintained by their service department. I have always enjoyed my experience with Jared and Josh. I am at ease when I work with them and they have my trust which is hard to earn. You would be hard pressed to find a facility as committed to your satisfaction. I can say whole heartedly that once you experience Enthusiast Auto service you will not want to go back to a dealer for post warranty work. Mike, working with you (and Pam) is always a pleasure. Thanks for taking some time out of your schedule to write this review. Hope to see you stop by sometime soon! If you're looking for knowledgeable and professional support for your BMW, look no further. The guys at Enthusiast Auto Group have done a variety of work for me including everything from a clutch, to a subframe reinforcement, etc. Jared is great to work with and the Keller's run a great business with extremely clean cars. They have always provided very hands on support during service and if you're in the area, why go elsewhere? I've compared their pricing to the BMW dealerships in the area and I can say that these guys know their cars better, are less expensive, and most importantly, are just normal guys who will shoot it straight. We appreciate the kind words. I hope you are enjoying the newest improvements (Clutch and fan clutch!) to your ride. I'm not normally the one to leave reviews, but the service I received at Enthusiast Auto Group encapsulated the exact sort of service I wish I received since owning the car from new. Given my high expectations and how they were exceeded deserves recognition. My vehicle went through quite a few services involving fuel components, spark plugs, and and other "turbo" related replacements from the dealership. However, I continued to receive a "check engine" light at times and personally felt the car didn't feel like it did when I still had that new car smile. I drove by their location a couple times when I was in the area and always took notice of the impressive inventory of vehicles, but never thought to bring my own car there for service. One day I took a chance and decided to call inquiring on possible services available. I spoke with Jared the service manager and he right away made me feel at ease. He was able to explain in terms I understand what I might be feeling, and common issues with my car. Then he mentioned having a loaner car available the next week if I wanted to drop it off and have one of their technicians take a look at it for a modest charge. Something he explained would be waved if I chose to go forward with the repairs. A week later I dropped my car off with low expectations but was happy to have a vehicle to drive to work while they took a shot at making my car feel better. Jared called me before lunch at explained something called "carbon build up", something that new BMWs get with the newer style motor. A procedure called "walnut blasting" would fix this... Huh? He then, as before, put it in terms I understood. I gave the green light. Jared then sent me pictures of before and after the service. I didn't know exactly what I was looking at except there was quite a difference. Later that day I picked up my car with low expectations and high hopes. I was blown away!! The smile. It's back! I forgot how fun this car can be at top shape! Not only that but I now know what is needed in the future. Minor leak here, starting to get worn rubber there, BUT I wasn't pressured into spending unnecessary money. That sort of honesty made me a customer for life. Never again will I call anyone but Jared and the service department at Enthusiast Auto Group. A true group of professionals are working there and I thank you again. We appreciate the chance you gave us to earn your business. Glad to hear you are happy with the results! This place has terrible customer service. Unfortunately I do not recognize your user name so I cant comment on specifics of you situation from several years ago. Like all small businesses, EAG strives for customer satisfaction and the best service available. Please contact me directly if there is any thing I can do for you or your vehicle at this point in time. I would like to make things right and restore your confidence in us. When I first started looking for my dream BMW, I tried everything from Ebay, satellite lots, dealerships, individual sellers, everything, until my last stop, Enthusiast Auto. I was searching for a rare specific 5 series luxurious enough for my day to day driving, but sporty enough for my weekend thrills. After walking out of my first meeting with the owners of Enthusiast Auto Group, I knew they would find me just that. Every few days I would receive calls and emails from EAG about the progress in the search to find my pearl. They were very meticulous and detailed about BMW's than anyone I have ever dealt with, and it paid off. It was easy to see their passion for these fine automobiles, and dealing with them was more like a friendship than a business transaction. They were very particular about finding the perfect car and it was easy to see they took pride in their efforts. At first I was a little worried if I could even afford this dream, as everything I had been looking at was at the top of my budget. I was surprised that they found a 540i 6-Speed Sport Package with more options and features than I was expecting FOR MUCH LESS than I had anticipated spending. When the car arrived, it received a full diagnostic, a full detail, and a list of records and features. It needed a few minor maintenance items, which I expected with any used car. These repairs were completed at a discounted rate, just a way of saying thanks for doing business with them. I have since gone back for service work to the car, and couldn't have been happier with the work, communication, and of course, the price! I paid less for an oil change than anywhere around town, using OEM BMW parts, and the car was cleaned and presentable when I picked it up. I now carry around their business card's everywhere I go, recommending them to co-workers, friends, family, and anyone into BMW’s. I'm thankful someone recommended Enthusiast Auto! When I decide to get another BMW, I will surely work with them again. These guys are not the only folks to work on my BMW vehicles. They are Top Notch for knowledge and quality. They've fixed problems that the dealer couldn’t' (or wouldn't) and the Quality and Price were 'right' too! I've had their work checked by another Certified BMW Master Mechanic... he too’ was impressed. Performance Upgrades and Standard Maintenance - all performed with exceptional results. My E46 330i ZHP is very satisfied, and so am I. Better yet: Quality Maintenance avoids breakdowns... None with the ZHP! Just miles of smiles. Enthusiast Auto: Integrity and Advice... Eric, Evan, and the team helped me understand the car, the maintenance schedule, and helped me plan several upgrades into a cost conscious approach that gave me much more bang for the buck... So the ZHP now is tastefully modified, the Smile Factor is Major... and I saved hundreds of dollars, compared to dealer based upgrades. Way more bang for the buck. Meanwhile’ they've helped introduce me to the BMW enthusiast community and have openly shared their knowledge and experiences with street driving and track-level performance driving. (and a referral to a good lawyer, just in case) I met Enthusiast Auto a couple years ago... my life hasn't been the same since. Now I live my dream, in my little Dream Machine, and they keep it ‘just right’… very nice. Enthusiast Auto Group do an excellent job. Their break-down, analysis, and inspection of my current M3 was very impressive. The same goes for the M5. Whereas the dealer gave me the run-around and refused to actually troubleshoot and diagnose the problems, these guys are open-minded, willing to work with the owner, and actually get to the root cause of the real problems. Not explaining how part X that is unrelated is broke, and that they "can't diagnose the other problems until part X that is unrelated is replaced." Enough with my rant. The point is these guys are quite the opposite and a great find in the automotive world. They are true enthusiasts with a great business model and thorough work. Hats off to the team and I'll continue to recommend them to all my friends. Just wanted to put a serious recommendation out for Enthusiast Auto Group (EAG) in Cincinnati, OH. I've had somewhat of a history with these guys after finding them on autotrader by accident in 2006. They are a group of independent BMW certified mechanics and enthusiastic, professional sales and service individuals. After our first encounter in 2006, it wasn't till late 2007 that I had the pleasure of working with them again. It was great to hear that the guys I had worked with then were still there, had moved to a larger building, and remembered me from name alone. Since then I've worked with them on a number of e36 M3 and e39 M5 problems. These guys are top notch and go above and beyond on every occasion. They tell you straight up what they think and give you honest answers, as well as respecting you the customer. They're not afraid of any job or service, and support (and promote) the aftermarket parts companies when BMW fell behind on their engineering. Needless to say, they are an asset to every backyard BMW mechanic or driver. I'd like to relay one such experience with them, and my last dealer experience. Lately my 2002 e39 M5 had one side of its angel eyes fail. Since I assumed this to be a simple bulb replacement, I just ran it to the local dealer (who resides in Centerville, OH on SR 725) to have them swap out the bulb while I was at work - just down the street. This wasn't your typical "oh, it makes a weird noise between 30 and 32mph and then it kind of shakes sometimes" kind of diagnostic. The light bulb either lit up, or it didn't. Surely the dealer could handle this. After waiting all day, I got the call. They told me the light control module (LCM) had failed and was going to cost an exorbitant amount of money. I confirmed with them it wasn't the angel eye bulbs themselves specifically. I told them to put the M5 back together and I'd do the work myself. I did my research, and was prepared to replace the LCM myself, or fix it directly. I then got the LCM easily accessible so the EAG guys could order the part and swap it out. To my surprise, I got a call mid-day from the service manager at EAG that the car was fixed and ready to roll. As always, the guys did their best work and thoroughly diagnosed the lighting system - AND REPLACED THE TWO ANGEL EYE LIGHT BULBS. Fixed. $10 in bulbs. NOT THE $1200 THE DEALER QUOTED ME FOR AN LCM MODULE. The EAG guys then asked if they should button her back up, or if I would do it myself (to save some cash). This is the thorough work ethic and respect I'm talking about. They could have just as easily ordered the LCM I had all but convinced myself it was, and they could have buttoned the car up and charged me an extra few hours of labor. No, they went the extra mile and worked with me to have things exactly how I wanted them. In closing, stay away from the BMW dealer in Centerville, OH off of SR-725 with a name that rhymes with "Loss - as in Loss of Cash" and do yourself a favor and take your BMW down to Enthusiast Auto Group in Sharonville. Your BMW, pocketbook, and blood pressure will thank you. 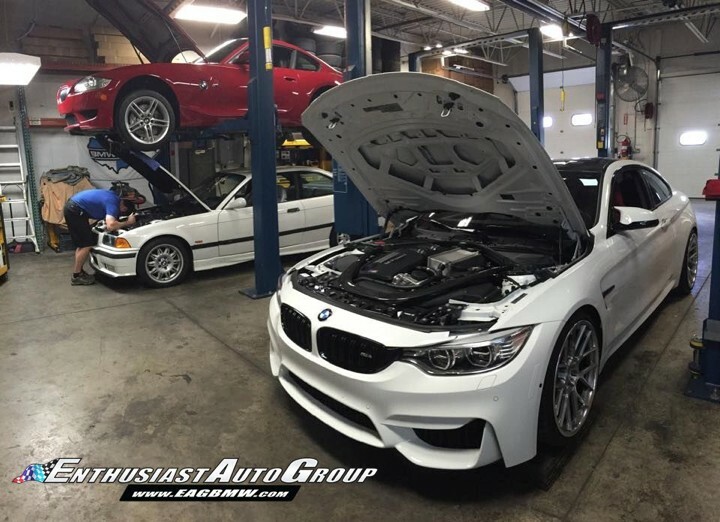 The EAG guys have serious equipment at their disposal, are continuing to upgrade the capabilities with new resources and tools, have moved to a bigger facility, opened a performance shop and online store, will locate that dream BMW for you, and have an excellent staff. I look forward to working with them in the future, and continuing to see them grow and prosper. I recommend them to all my friends, family, and hope you too will give them a shot. guys. Chris from Lebanon, OH "the dirty silver M5 driver"
Just bought a 325i from Enthusiast Auto Group and it was a good experience for me... They were very helpful and had a great deal of knowledge over and beyond what i expected. I hope to keep building a great partnership with them for many years to come. And will report as the years pass..
We appreciate the time you spent writing this review. Thank you! Do not use this service department for ANY repairs. We took our BMW in for one repair and it sooned turned into around $8000 in repairs. We had this work inspected by other parties after dealing with 7 months of issues and problems from this company and come to find out that not only did they did not repair the "supposed" problems, they have now caused more damage from their incompetance. They clearly do not know what they are doing and just picked parts and pieces to be repaired or installed until they thought they fixed the problem and ended up doing more harm to the car. Even their loaner car broke down on us and they supposedly fixed it, yet it broke down on us again the day after we got it back. Vehicle came in severely overheated and with a damaged and warped cylinder head. Enthusiast auto replaced the cylinder head. Vehicle developed other issues in the next several thousand miles after head replaced which customer also chose to repair at EAG. Customer went to another local shop (No longer in business)for a second opinion where they found oil residue in cooling system which had leaked in from when car was overheated originally and never was able to be fully cleaned out. Other shop assumed failed head gasket. Vehicle passed all compression, leakdown and carbon tests verifying our installed head and head gasket was, in fact, no longer an issue.